Crying is therapeutic and it cleanses your soul. Ain’t no shame in crying. But crying over the same thing is a waste of your LIFE. 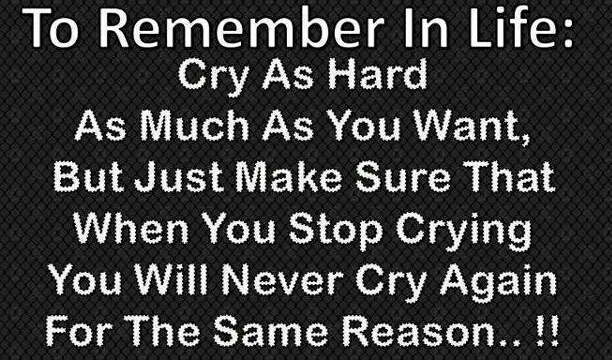 Cry as much as you need to, cry for days if it makes you feel easier but learn your lesson from whatever made you cry and never cry over the same thing more than once.